German police identify suspects working for Iranian Quds force to target Israeli and Jewish targets in Germany. German law enforcement agencies in four states are searching for suspects who are believed to have spied on Israeli and Jewish targets for Iran. Federal prosecutors have identified 10 suspects, according to a report Tuesday by FOCUS magazine. They are believed to have worked for the Quds Force, which is a special operations branch of the Islamic Republic’s Revolutionary Guards. Law enforcement officers searched several homes in the framework of the federal investigation in the German states of Berlin , Baden-Württemberg, Bavaria and North Rhine-Westphalia. 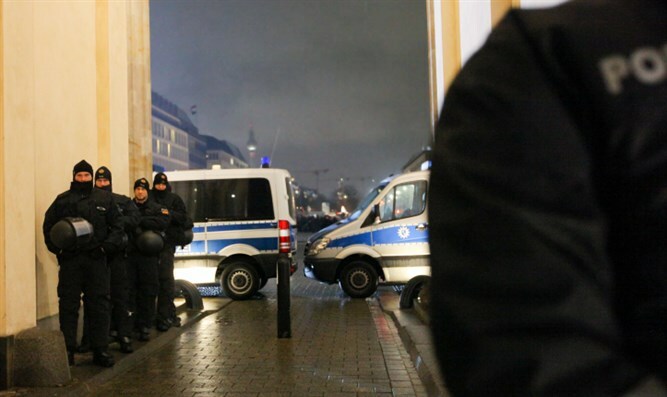 Reports in German media about the investigation did not say whether the suspects are accused of gathering intelligence for any particular purpose. Several Western intelligence services believe operatives for the Quds Force carry out assassinations for the Iranian regime and are implicated in assisting terrorist organizations, including ones fighting Israel and targeting Jews.